It’s with sadness that I report on the passing of my father, Richard T. Dolan, yesterday evening on December 2. He was 79 years old, just one month from turning 80. He lived a full life, filled with triumphs and disappointments, like most of us. His last few years saw declining health and ever-greater restrictions on his ability to engage in life the way he was always used to doing. Earlier today, I posted this statement on my Facebook personal page — a place I haven’t been especially active but feel was appropriate to use for this occasion. I hope you don’t mind me sharing it here with you as well. I’ll simply add that in writing all of my books, and especially my first one, he was always the primary audience in my mind: no-nonsense, smart, open-minded, and needing evidence at all times. 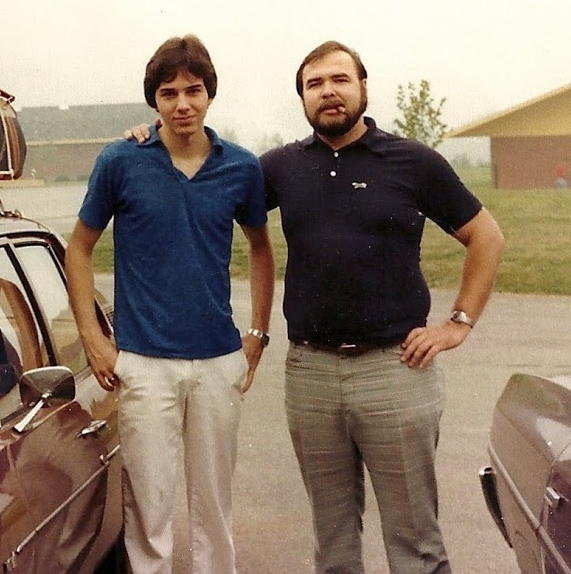 This was me and my father in the Fall of 1980. I was 18 years old and scared out of my mind, hours away from my first day, far from home, at Alfred University. I couldn’t even eat my breakfast. There’s my dad. Ever-present cigar. And that look. To me, that was his classic look: confident, proud of his family. He always made me feel special, and taught me more than I can possibly recount here. One thing, for now, however. 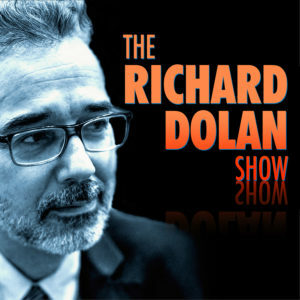 My father, Richard T. Dolan was very complex, sometimes difficult, but always larger than life. He was nicknamed MadDog for a reason. He had a gift, despite the tough guy veneer, of being remarkably open emotionally when the time was right. We talked about our feelings quite a lot, not only way back then but right up until he died yesterday. In so many ways he was my role model, and truly not a day has gone by during my entire adulthood when I haven’t at least briefly referenced him in my thoughts. He has loomed as such a presence in my life all these years, and I am beyond grateful that he was my father. I’ll miss him so very much. As will my sisters Lisa Dolan, Nanny Dolan Arrington , my wife Tracey Garbutt, my mom, and everyone else who knew him. 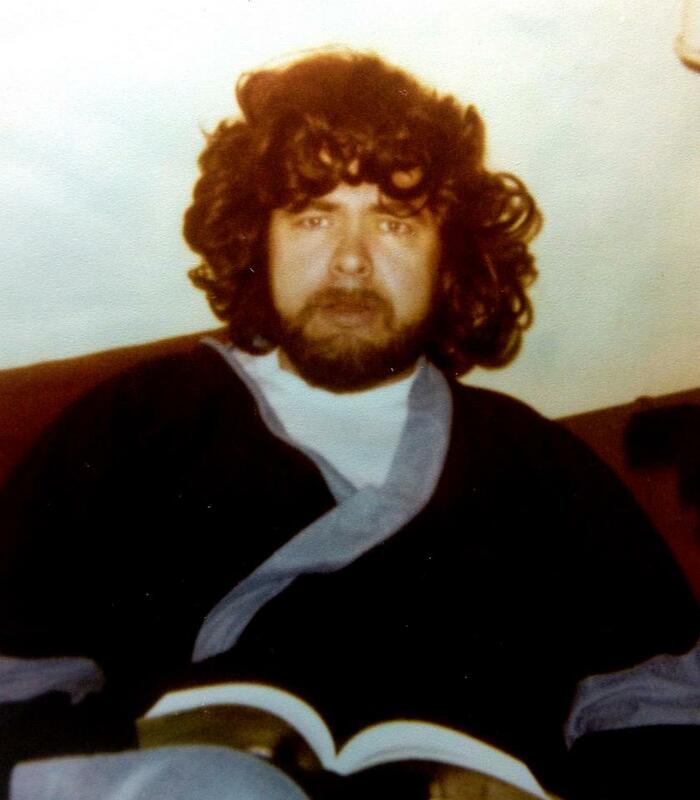 One of his typical moments of craziness, sometime in the 1980s. I always liked this pic, having fun somewhere nice. 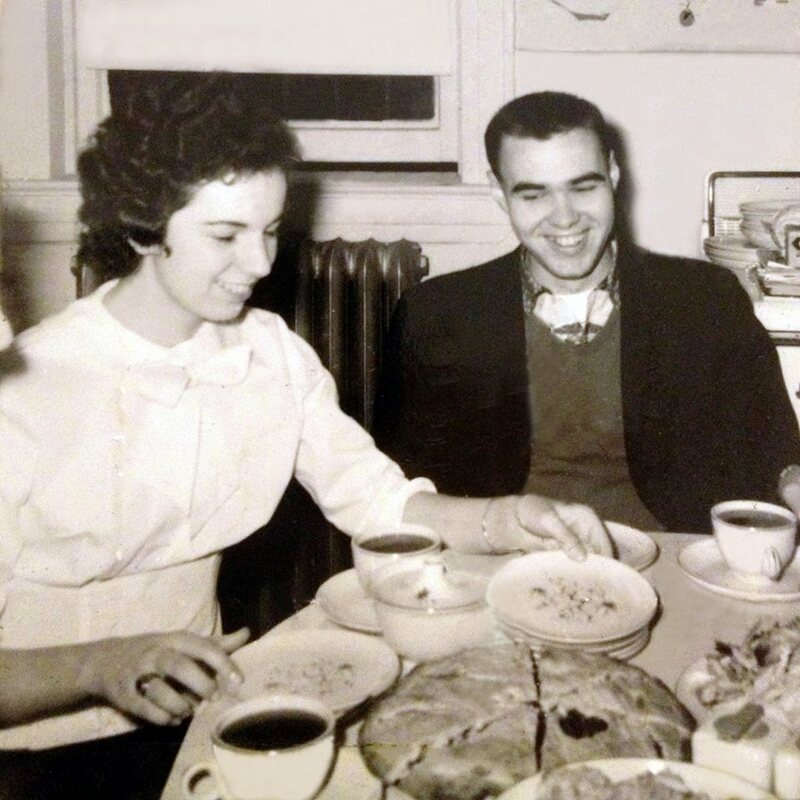 My parents dating circa 1957. Those tiny Brooklyn apartments! 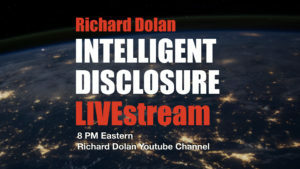 Your such a caring and friendly person and it feels “special” as a member of the RICHARD DOLAN MEMBERS club to have been ‘privy’ to read this. I just started my membership yesterday and this lovely family story was very heart felt. Thank you so much for sharing it with your members. Love that you put the pictures in too. My thoughts and prayers go out to you and Tracey and your family. Condolences to you and Tracey, your family and your closest. He looks and sounds like he knew how to have a good time with his family – something that is important to me too. Sorry to hear of your loss. So impressed at the reverence you show in profiling your dad. No one can ever take the influence that he had upon you away. In a sense, he lives-on within you. My condolences to you and the family Richard. There are no real words for these times we experience in our lives and every thought and feeling is valid for each individual. Family, whatever family you ultimately call your own, is paramount in life and I hope you feel you can take as much time from everything else as you either want or need. We’ll all still be here when you come back. Thank you, Richard, for sharing this here. More than I would have expected of my membership. It means a lot of me, not having much in the way of family, feeling so included. I love the pictures. Such a strong spirit as I see there will endure. So very sad to hear of your loss. The greater you feel that pain of losing a loved one the greater the love that was there and will endure for all time. My condolences to you all. He sounds like a great dad. Wow. Thank you sincerely for sharing this message with us Richard. It’s a real privilege to have had a good and inspiring dad. I’m sure all Dolanites won’t mind if you take a break from the site for a little while. Richard man, I am so sorry for your loss. Trite-ness aint me – but what a full life and how proud must you be to have known him. This is a description of a true-life hero – a man who had faults perhaps, (who doesn’t?) but a moral honestly at the heart of his life which I would always admire – whether I was in agreement with the stance or not. The ultimate test – one which is at least 95 % sure in my experience, is in what we leave behind – was he a fine man? Well he has a fine son. So that’ll do for me. There are a lot of fine people leaving us at the moment. Love. Very sorry to hear of the passing of your father Richard. Prayers to you and your family. I am so sorry for your loss. I lost my father 10 years ago and not a day goes by that I don’t think about him and what he meant to me. This is a difficult time, no doubt but lean on family and friends and think about and share the great memories you have about him. I know Tracey will be of great comfort and support while dealing with this loss. Keep the memories alive and once again, my condolences. Thank you for sharing . Me and my family offer our condolences. I am sure he is very proud of his son for your courage. We are eternal souls you will meet again I assure you. I feel my fathers presence often and always wonder if I have his approval constantly striving to be brave and truthful. You and your father are men of courage in thus life and the next. Richard, hopefully, memories and time can help fill the huge hole in your life you are feeling. I’m not good with words at times like this and I can’t pretend to speak for others, but just know that those who appreciate your work will be thinking about you and your family. My deepest condolences, so sorry for your loss. So sorry to learn of this, Richard. Condolences to you and your family. Our heart are heavy over here and feels this pain of the passing of your father. This has been a tough year for many. We’ve had 5 deaths since last march so many people are passing it seems. We’re glad you have fond, loving memories of your father. The pictures are really nice to see. Thank you for allowing us into this part of your personal life. We’r glad you and Tracey have each other along with your loving family to get through this sad time. We send our deepest love to you all. I’m sorry to hear your Father died. My thoughts are with you and your family at this sad time. Richard – it’s a day we dread and can never prepare for. But its the gratitude that will get you through it. It’s clear you have a lot to be grateful for and you can thank your father for all he did for you. And in turn you honour his memory by upholding the values he instilled in you. Your dad sounds like an amazing man And I sure he was very proud of you. My deepest sympathy Rich on the passing of your Dad. I am sure he was very proud of you and your work. Like himself brave and courageous. From one Brooklyn boy to another, I am truly sorry for your loss! My deepest condolences to you and your family during this time of loss. Oh Richard … my heart goes out to you and your family. I feel privileged that you have shared you inspiring memories and intense sadness with us. I’m so very sorry, Richard. Just came to the site to see about Intelligent Disclosure today, and see the note of your Dad’s passing. I’ll be thinking of you and your family. I’m a praying kind of guy, so you’ll be getting that as well. Again, very sorry. Sorry about your Dad , Rich ? My thoughts are with you and your family ? You are a lucky man, Richard. It is obvious you have a family who loves your dad (as much as you) and each other. Special Dad. Special family. Not everyone can say that. You are also lucky that your parents were fairly young when they had their children so you all have been able to appreciate them. Beautiful children. Again, not everyone can say that. Kudos to you for giving a hail to your father. I miss my Dad every day and I am sure you will feel the same way… special. Not everyone can say that. Love to you and Tracey. Condolences Richard and family. 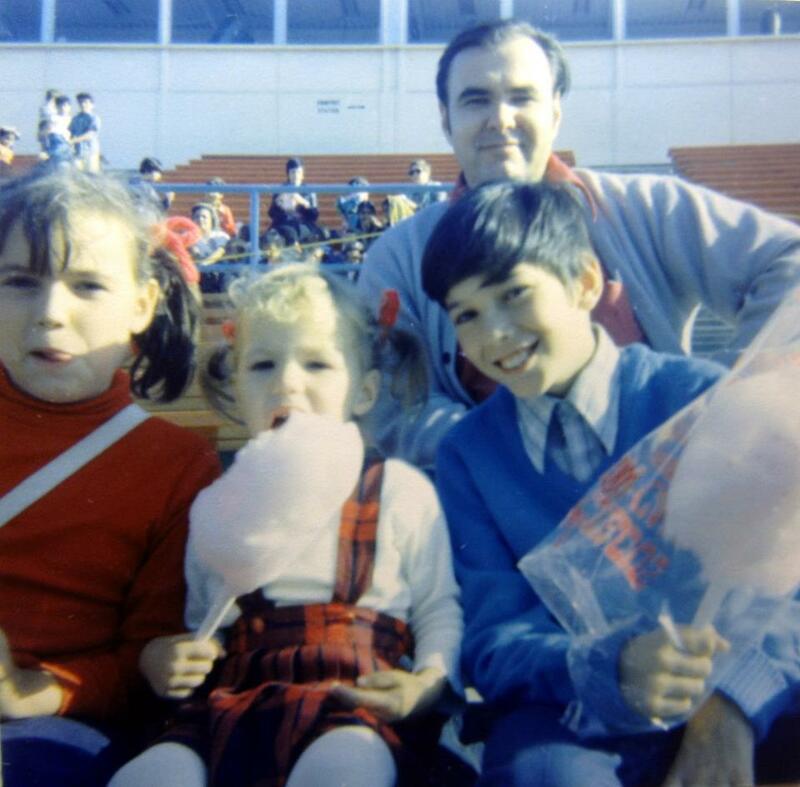 Thank you for sharing your fond memories and photos in remembrance of your father. 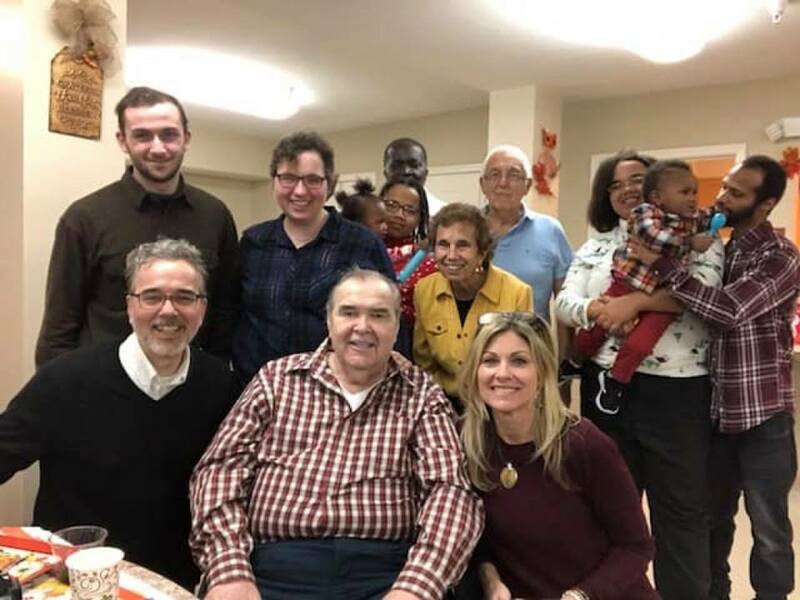 Sorry for your loss.Thanksgiving dinner 2018 shows that he spent the end of his life with family and friends. It’s a blessing to die surrounded by loved ones. So very sorry for your loss, your father sounds like was a true father in the best of ways, my condolences to all of the Dolan clan, and their loved ones. Sorry to hear of this loss. Deep sympathies to you all. Beautiful post – a great tribute to your Dad. Thanks much for sharing. We are deeply sorry for your loss. Our thoughts and prayers are with you and your family. Hard time for you and your family. Richard, I saw the sad news this morning. My heartfelt condolence to you and your family. That father and son relationship is precious and I don’t believe death severs your connection with your Dad. Your pictures show how close you are to your Dad as your allegiance to finding the truth shows in your work. My regards to you, Tracey and your family. Thanks for sharing this very personal stuff! Your dad was a visionary; he foresaw your life’s fight for the truth. You take care now. That’s a big loss. So sorry to hear of your loss. A wonderful tribute. To have raised such a brilliant son speaks volumes of him as a father. What a wonderful man, your father was, Richard. So sorry for your loss and you were so lucky to have a father to inspire and support you. Sending love to you and Tracey and the Dolan family in this hard time. It’s sad to hear of your father’s passing. Thanks for sharing your thoughts and feelings Richard. You’re a testament to what good father, and good person that he was. Richard and Tracey, I offer my deepest sympathy at your loss. Richard, you are a shining testament to what a remarkable man your Father must have been. Very little ethics, honesty and intelligence are found in people these days, especially those who have a voice to many. Keep up your topnotch work, you both are rare in your field for highly intelligent and unbiased work. Being a long time fan of your work, I feel personally affected, saddened by your loss. In honor of your Dad, let’s all keep fighting the good fight and most importantly being kind to each other. Your Dad looks like a Hemingway type. He must have taken you on many adventures. I’m so sorry for your loss. Your father sounds like he was a very fine man. I can see where you got your moral courage and integrity. As we age and begin to lose more of our family and friends–more of the entries in our address books and lists reference those who are no longer here–the reality of our mortality becomes vastly more real. Undoubtedly, you will, as I have, find this a deeply felt transition–one that requires depths of strength and character that I feel sure that you are even now finding within you. Stay strong. Stay true. Hold tight to that which sustains you. I’m sorry to hear of about your dad passing. I know how heartbroken you must feel. I loss my dad in 1984.You must’ve been so very close to your dad and he has shaped your life to this day. I say once’s again. I hope you and your family has happier days to come. Thank you for sharing this bittersweet milestone with us. At moments like this , gratitude trumps all, and you have shown that there is much to be grateful for. I am grateful for your work, your critical savvy, your generous nature sharing your research & opinions, and your playful humor which sweetens it all. Best to you, your family, and Lady T.
LONG LIVE THE MADDOG! ?? I just returned home and saw your sad news. I’m so sorry. You look just like him. Your reactions to injustice are finely honed and a wonderful legacy. What better tribute can you pay to your father than to cherish that part of him in yourself.